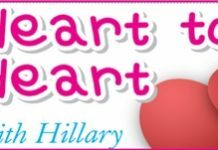 Home Blogs Heart to Heart with Hillary Pick up the phone! My wife never hears the phone when I ring her up. It is always left in the car, or at the bottom of her handbag and she doesn’t hear it. Have you any suggestions? Buy her one of those lanyards that goes around her neck and the phone hangs from that. I take it you have checked to make sure the ring tone is turned up as well. Of course, she might be ignoring you, and in that case, nothing will work!